The result for Class 12 of HP Board is likely to be declared shortly. As per past trends, the results are expected to be announced between 1 pm and 2 pm. Earlier, it was notified the result for class 10 and 12 of the board will be declared together on April 25. Whereas, the development of the news informs the result will be declared on April 24, 2018 in the evening. The board exams of Class 10 begin on March 7 and concluded on March 20. Whereas, Class 12 board exams were from March 6 to March 29. The result for class 12 board will be available on board’s portal. 3. Enter your required credentials including your Roll no. Heavy Traffic on the website may delay your result. 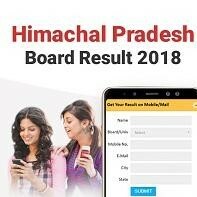 For quick result: Log on to and register or ckeck HPBOSE +2 Class result 2018 yourself on My Result Plus or hassle free result.